I visited the park on Thursday, 3/17/16 (Day 74) and the third area for arch viewing I went to was at the end of the park road, where the well photographed Architecture Arch is located. As you can see in the picture above that at this angle I was facing southwest and picking up the glare from the sun. My goal with this photo was to pick up the curve of the hill range behind the arch with the same curve of the arch. The best viewing would be morning. The hike to Architecture Arch is a mile from the beginning of the trailhead, but when I arrived I got one of the last 3 parking spots way at the end of the oneway loop road. Parking this far away can add about an extra 1/8th mile, or 1/4 mile round trip to the hike. The hike is generally flat with a couple of rises to get over. 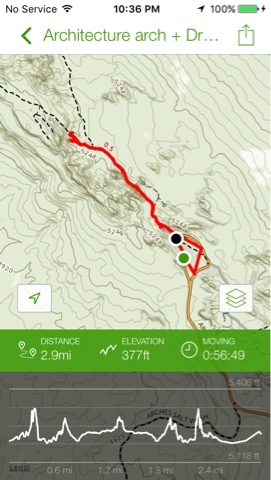 I actually walked a bit further than Architecture Arch to the beginning to a primative trail up a narrow steep rise on top of a sandstone ridge where after 1.2 miles further (oneway) to Double O Arch. 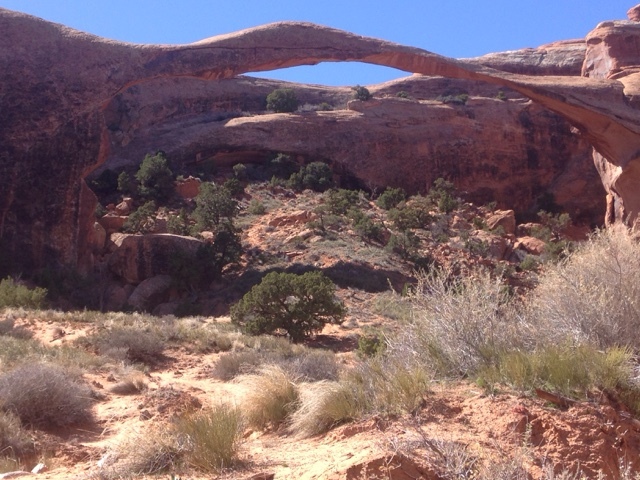 This is climb to Double O Arch, that I didn't take, is told to me as narrow and steep at times. This primative trail is part of a longer trail that loops around to the main trail again but it is long. 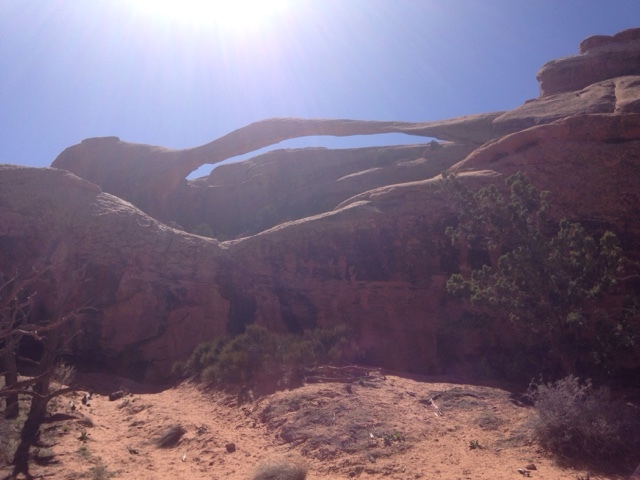 I would definitely take the hike to Architecture Arch if you come to the park, although morning may be best for sun.